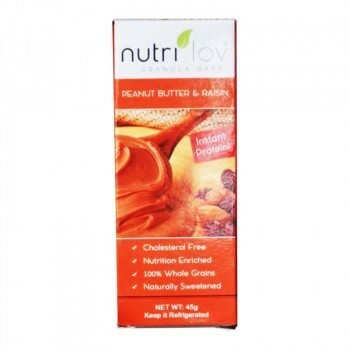 Nutrilov Peanut Butter & Raisin Bar is a one-stop solution for your everyday protein fix. 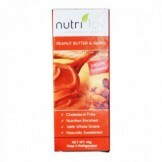 Made with cholesterol-free peanut butter, wholesome honey and a sprinkle of cinnamon to perfect the blend, this bar will fast become your favourite! Offering the Nutrilov Granola Bar - Peanut Butter & Raisin with fast shipping in Karachi, Lahore, Islamabad, Rawalpindi, Peshawar, Quetta and many other cities of Pakistan.